And Weâ€™re â€œRunningâ€ Better than Ever. At Ridgeway Home Services, our roots run deepâ€¦into the communities we serve, in the experience we've amassed as a company and as individuals, and in understanding home comfort technology was then, what itâ€™s like today, and what it's likely to be tomorrow. Today, like always, you can count on that and much more from Ridgeway Home Services. Our new web site, for example, provides useful and reliable information on how to help you 'green' your home for healthier and more comfortable living, plus increased energy savings. You'll find new and updated information on tankless water heaters, geothermal heat pump home comfort systems, back-up solar power, and other key home comfort and safety services. Our highly experienced and trained team of system installers and service technicians. Our commitment to ongoing training and education. Treating you with the respect and courtesy you deserve. Being on hand to serve you 24/7. Always making time to answer your questions and explain your options so you can be sure youâ€™re making good, solid decisions. At Ridgeway Home Services, weâ€™re only as good as our last job, and always trying to do better on our next job. If thatâ€™s the kind of company youâ€™d like to have in your corner, contact us today for serviceâ€¦with a smile. Guaranteed Upfront Price â€“ Youâ€™ll know and approve the price of each job before we start. 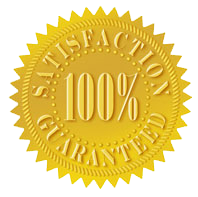 100% Satisfaction Guarantee â€“ If at any time during the first year of a new system installation you are not 100% satisfied with the performance of the equipment, our service or even our people, we will â€“ within 30 days of your request â€“ remove the system and cheerfully refund the entire amount of the contract. Ours is drug-free workplace. Extensive background checks are conducted on each prospective employee; plus, each employee must comply with random drug screening. 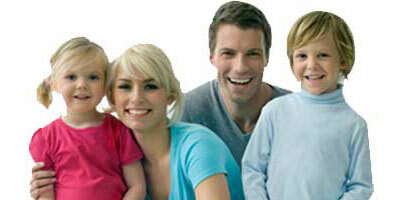 We are licensed and insured for your added peace of mind. Our employees will use no foul language in your presence, will respect you and your home at all times, and will leave the work area and entry ways to your home at least as clean as they found them. Our trucks are like rolling warehouses, each stocked with hundreds of parts better enabling us to complete most repairs with just one visit to your home. If for any reason we are not able to show up at the promised time, we will call you in advance so youâ€™re not left waiting and wondering. If there are other factors of importance to you in choosing your next home services contractor, please call us and weâ€™ll be happy to listen and respond appropriately. At the same time, we encourage you to view just some of our more recent customer testimonialsâ€¦very often, they say it much better than we ever could.